【DESIGN FEATURES】This hover ball is equipped with colorful LED lights and it can make a glittering light . Therefore the kids can play it in the outdoor & indoor safely and it also brings more fun because of the changeable colors. The toy comes with the standard size of 8.2 inch which is similar to Size 5 soccer,it is a good toys for kids. PRODUCT DESCRIPTION】This hover ball is different from traditional football,it is soft and easy for kids to kick. Not only can you play as a gliding kid toy, but it like a real soccer when you kick it. 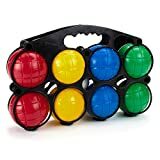 The ball shall be the perfect kinds toy for outdoor and indoor, with which your kids can enjoy wonderful group games with family or friends. 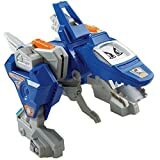 It is a good parent-kid interaction toy as you can play with kids together. 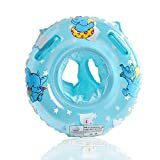 【SAFETY FEATURES】 : This air hover ball toy is made of ABS raw material and non-toxic plastics with foam bumpers and soft air cushion of foam surrounding the edge of the disk, which makes the hover soccer ball safe enough for kids to play with. It doesn't hurt the bare feet when you kick it, and it easily bounce off of walls and chairs.It won't hurt the furniture or walls in the house.You can play the ball anywhere. 【PACKAGE & WARRANTY】 The fashionable and fancy package makes this product more fashionable and artistic as a gift. We contain in our package with a small screwdriver to help you open the battery cover. Note:Install 6 x AA batteries(not include in package) to the right places and put the cover on.If you have any concerns about our products or service,please feel free to contact us via Amazon and let us know how we may assist you to solve the issue you have experienced. 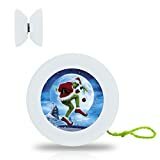 【GIFT OR TOY】This hover ball can be given to kids and friends' kids for Christmas, Birthday or New Year's Day gifts etc.It can bring more laughter to the children.Through the hover ball,we will bring kids distance closer on the basis of friendship, increasing mutual understanding and trust. 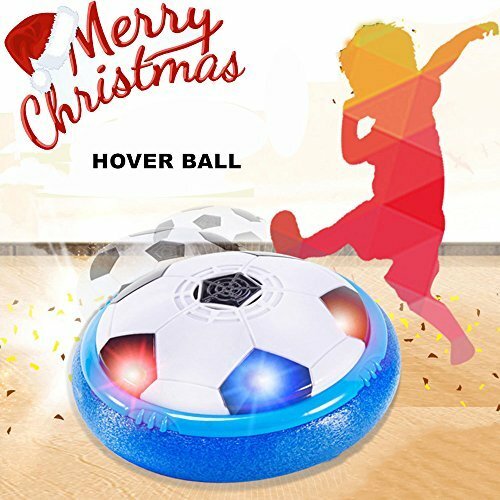 ⚽This hover ball is equipped with colorful LED lights and it can make a glittering light . ⚽Therefore the kids can play it in the outdoor & indoor safely and it also brings more fun because of the changeable colors. ⚽The toy comes with the standard size of 8.2 inch which is similar to Size 5 soccer,it is a good toys for kids. ⚽It can bring more laughter to the children.Through the hover ball,we will bring kids distance closer on the basis of friendship, increasing mutual understanding and trust. ⚽Use the little screwdriver (included in the package) to open the battery cover. ⚽Install 6 "AA" batteries (not included) to the right places and put the cover on. ⚽Switch the power button at the bottom, place it on a smooth surface and give it a little kick! ⚽We also included a mini screwdriver to help install or uninstall the cover. It is very convenient and you don't need to worry about the loose electrodes of the batteries.